The Psalms are beautiful works of poetry in the Bible, teaching us how to pray. Their words can hold power for us as parents as we meditate on them, and many are easy enough for even young toddlers to commit to memory which will be a tool for the long life ahead of them. Here are a few simple verses that are fun and simple to play through. In this devotion we took the analogy of the tree planted in streams of water, and scaled it back a bit. We used flowers, and learned you become what you soak up. In this devotion we took a trip to an apple orchard, did some apple stamping, and ate some apples. We learned that God chooses us, just like the special apples we picked at the orchard. In this devotion we learned tha Hod rescues us, even when there seems to be no way out. We also learned that Jesus is the ultimate rescue. In this devotion we learned that God is like a shepherd who always takes care of his sheep. We also made the connection between this Psalm and the Parable of the Good Shepherd. “Taste and see that the Lord is good” (Psalm 34:8). This verse is all about sensory. Taste. See. So we had fun playing with our food. In this devotion we learned tha God takes care of us like a mother hen takes her chicks under her wing. In this devotion, we gave all that toddler noise an outlet as we made music and praised. In this devotion we learned that Gods word is sweeter than honey, and that is pretty sweet. In this devotion we explored how God made us, through mirror play, and naming body parts. In this devotion we learned about outer space and worked on our math skills as we learned that the God who made the stars also knows and loves us. Needing resources to introduce the Psalms to your little? 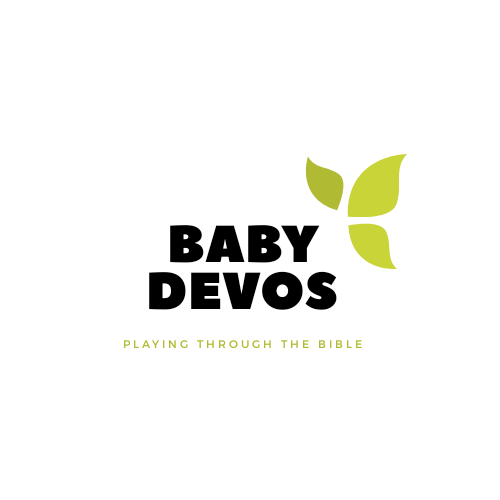 Check out: The Best Psalms and Proverbs Resources for Toddlers.